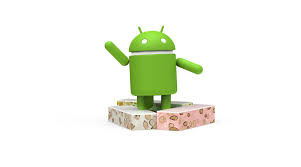 Android is getting sweeter with every new version.The version history of the Android mobile operating system began with the release of the Android alpha in November 5, 2007. The first commercial version, Android 1.0, was released in September 2008. Android is continually developed by Google and the Open Handset Alliance (OHA), and it has seen a number of updates to its base operating system since the initial release. Versions 1.0 and 1.1 were not released under specific code names, but since April 2009's Android 1.5 "Cupcake", Android versions have had sweets-themed names. 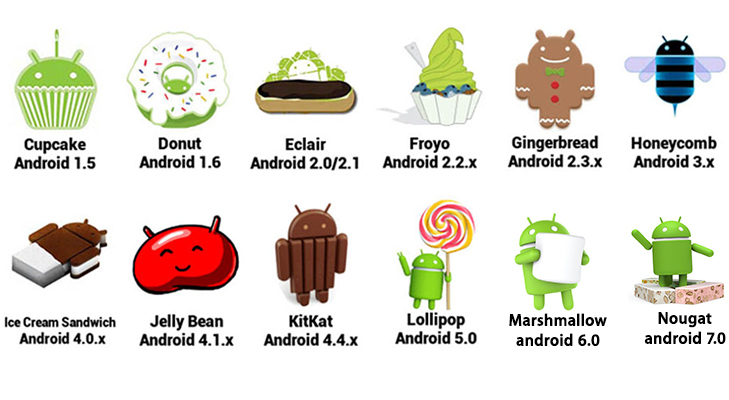 Each is in alphabetical order, with the most recent major version being Android 7.0 "Nougat", released in August 2016. Android 7 Nougat (Android N) is the seventh major version of the Android OS. First released as a beta build on March 9, 2016, it was officially released on August 22, 2016, with Nexus devices being the first to receive the update.LG V20 was the first new smartphone released with Nougat. What is new in Android 7 Nougat? Google has included lot of innovative features in Android 7.1 Nougat. Multi Locale language settings:Now with android 7 nougat you can switch between different language directly from google keyboard by a single touch. Multi-window view and Quick switch between apps:Now you can switch between apps with a double tap, and run two apps side by side. So go ahead and watch a movie while texting, or read a recipe with your timer open. High performance graphics:Vulkan™ API is a game changer with high-performance 3D graphics. On supported devices, see apps spring to life with sharper graphics and eye-candy effects. High quality virtual reality:With VR mode, Android Nougat is ready to transport you to new worlds. 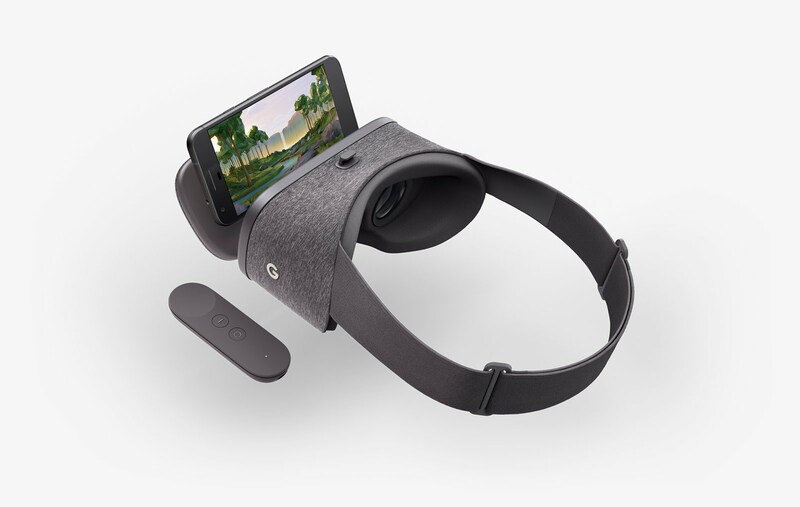 Available on Daydream-ready phones.Daydream is the virtual reality technology developed by google team.Daydream-ready phones are built for VR with high-resolution displays, ultra smooth graphics and high-fidelity sensors for precise head tracking. They’re powered by the new Android 7.0 Nougat. This is just the start. More Daydream-ready phones are on the horizon. Doze on the Go:Doze now helps save battery power even when you're on the move. So your device will still go into low power usage while you carry it in your pocket or purse. Customised Quick Settings:Rearrange your Quick Setting tiles so you can get to what you want faster. Notification ,Direct Reply:Mini conversations within your notifications let you reply on the go – without opening any app. Bundled notifications:See what's new at a glance with bundled notifications from apps. Simply tap to expand and view more info without having to open the app. Data Saver:Limit how much data your device uses with Data Saver. When Data Saver is turned on, apps in the background won't be able to access mobile data. Notification Controls:When a notification pops up, just press and hold to toggle the settings. For instance, you can silence future alerts from an app in the notification itself. Display size:Not only can you change the size of the text on your device, but the size of the icons and the experience itself. Seamless Updates :On select new devices, software updates download in the background, so you won't have to wait while your device syncs with the latest security tools. File-based encryption :By encrypting at the file level, Android can better isolate and protect files for individual users on your device. More Android One devices will be getting the update in coming days.